SPEECHgirl Bucknor: Hey! 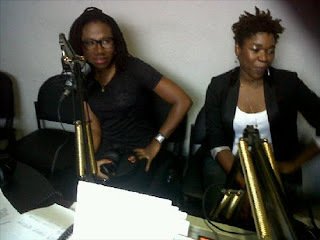 I got to interview asa and Dj Jimmy Jatt! Hey! I got to interview asa and Dj Jimmy Jatt! It was one of those interviews you dream about. When you get to interview people you think are cool, people you admire, and people you hope will be a laugh and a half when you do get right to it!!! OF course, it was also always going to be a scary interview. Would they show up? One is a self-confessed late riser, the other is... well, she is asa! I mean, i had never interviewed her before. But grapevine wise, i had also not heard anything about cancelled interviews or no shows. So knock on wood, i prayed about it, and let tomorrow come! Tomorrow came on Wednesday the 13th of January and i kept saying, well thank GOD its not Friday the 13th! I had sent text messages to both Dj Jimmy Jatt’s p.a and asa’s manager, to ensure they woke up, at 6am when i was already at the studio! I kicked the show off unceremoniously but hinted at two important guests coming soon, to the listeners. People began to guess even before i asked them to! Was it PSquare? I wish! Was it Don Jazzy (again) and DBanj? Oh i really wish! But still i wouldn’t say for i was too excited, and possibly too superstitious! Was not about to mention those names on air and then have them not show due to a flat tire! This was afterall, a live show, and would wrap at 11am! But both parties kept me updated concerning their current location, and it seemed we would get a good show! Let me confess, i get nervous interviewing certain people ( i almost stammered through the 9ice interview and gushed through the Darey one), but interviewing two people at the same time? Most times it leaves me feeling empty, like i missed something or didn’t do either of them justice! So i prayed again! 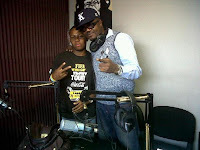 Dj Jimmy Jatt got here first while asa and her manager got lost and had to turn back and look for the station again! So we began the interview! At first he sat, and i asked the most basic questions! Did he ever think he would be this big (taking a cue from Nas and R Kelly). He said way back when, he never thought music would be his main and only thing! But now, he can’t even think of what else he could possibly have done instead of music. When i asked him to think about it, he said, even if he had not been a DJ, he would still have been lurking somewhere in the music shadows. Possibly as a producer? He does have an album out, and does not sing nor rap! But yes, ‘THA DEFINITION’ which felt like a first of its kind when it came out and had twenty two songs with mostly upcoming artiste, most of whom are now known, went on to get several nominations, and win awards, with singles like ‘Stylee’ (with Tu Face and Mode Nine), and ‘Too Much’ (with Sasha, Bouqui, Kemistry and Blaise), still enjoying maximum airplay! He also said for him, there is always the need to take the next step, and one of the reasons he started Jimmy’s Jump Off, was so he could bring something refreshing to the table, while still helping to give upcoming artistes a platform. It began as a video mix, but now has live performances, and since it has become a much twitted, and boasted about show, it would seem it has sunk into Naija popular culture! I was indeed curious to know what a Dj who has access to a million songs at his disposal, listen to, and how he decides what to play at any show. He said he grew up with a father that listened to James Brown and Ebenezer Obey, and a mother that listened to Boney M and Abba! His brothers also had diverse taste, and what he plays at a show, is usually different from what he listens to in his car. His mixes at a club are usually a blend of what he thinks the audience should listen to, and what they want! And since he has been forced to play a song at gun-point before, i suppose he sure is a man that listens to the people! What other fun things did i discover about Dj Jimmy Jatt? He is more in love with his wife (whom he met at a club) now, than when he first met her! He truly is a sweetheart and a great man! Don’t worry folks! 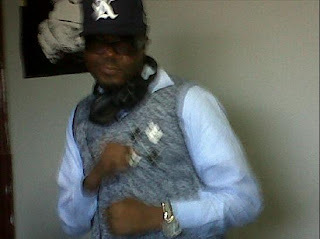 Dj Jimmy Jatt and i did not leave asa outside for too long! 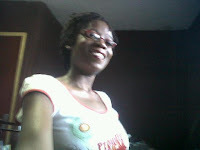 She joined us and Dj Jimmy Jatt (real name JIMMY AMOO), became the interviewer for a few minutes!!! If you listen to her music, you might have already guessed what asa would come across as in person. I cant say this was my first time of meeting her, but it was in a different way, and as she sat down, i thought to myself, “better not mess this one up”! It was easy interviewing her though! If you ask, she will answer. Straightforward, no punches pulled! We began with the easy ones first! Her album which was released in .. is still making a massive impact now and even still getting her nominations! What did she think about that! She says at the time of making the album, all she wondered was if people would like it, but she thinks in the end, it comes down to the fact that when she made/makes music, her focus in the music itself, telling her stories and discovering herself, and not ulterior motives like fame or music. She also admitted that she is a very shy and quiet person who gets surprised when people recognise her. We do hope she is ready for a lot of surprises then because she is one of the most visually recognised artistes from Nigeria! Once we went back on air, it was time to tackle those rumours! 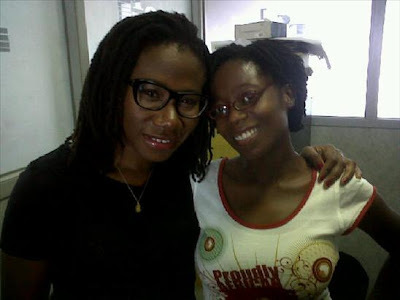 The most recent story on asa was that she had been arrested at Heathrow for being in possession of cocaine. Her presence in Nigeria (and in Nigeria at the time of the news breaking) was proof enough that that was false, but she categorically denied those rumours, saying she was at home, having a relaxed time with her family, when the calls started coming in. She said she was hurt and angry, and clarified while she was at it, that she was not a lesbian, and was just a quiet person who truly liked to keep her life private. She said when she did get married and have children, she would love to keep even that, private! I love the way she expresses herself, and the way she pronounces certain words with both an emphasis and a clipped tone! I love that she is all about the music, for even when we were off air, she would get lost in it, and i love that after all is said and done, it all boils down to an artiste who is truly truly, all about the art itself. Speaking of collabos, i wanted to know how she decides whom to collaborate with. She usually has to like the person, and there has to be a message. When asked by a fan if she would collaborate with Terry G or Timaya, she said why not, if the message is one they need to get out. She also admitted she needs to collaborate with more female artistes, and she lamented that when it comes to the music scene, more had to be done in terms of female presence. It was a nice simple chat from start to finish, and by the time we literally had to run out of the studio, the listeners and i had come away knowing a lot more about Dj Jimmy Jatt and the eagle, asa. For me, the interview helped me love and appreciate them more, and since Jimmy is working on Tha Definition part deux, and since asa has said she is looking towards a summer release for her new album which will of course have Cobhams producing some tracks though she is open to working with other producers, i’ll be holding my breath! Till then, i will have ‘Too Much’ and ‘Bibanke’ on repeat! By the way, asa likes CON.tra.diction! Wow, congrats. Hope you'll interview me on my new book when I'm in Nigeria? LOL. Kudos girl and all the best. We Think You Should Know!